Directed by Martin Scorsese. With Robert De Niro, Jodie Foster, Cybill Shepherd, Albert Brooks. 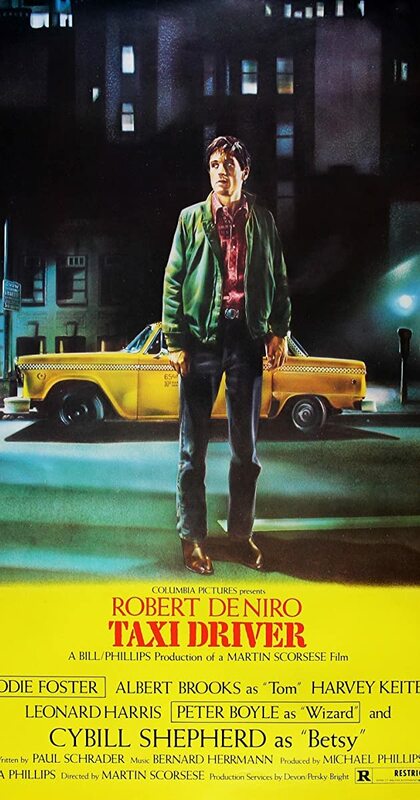 A mentally unstable veteran works as a nighttime taxi driver in New York City, where the perceived decadence and sleaze fuels his urge for violent action by attempting to liberate a presidential campaign worker and an underage prostitute.